Hmm, now what hop should I use? If you’re formulating a recipe & get stumped on what hop variety to try, click here & check out YCH Hops’ list for a little inspiration & a general overview of all the common varieties available today. Another favorite tool is from Hopunion, which is our supplier the packaged hops we sell here at In & Out. Their Aroma Wheel here will help you even further by narrowing down the list by specific flavor/aroma characteristic that will be imparted to your beer. Feel free to shoot us an email as well, for an opinion on what to use- we’re happy to help! Also if you’d like feel free to email in your grist, we can pull the necessary grain bill & mill it for you, as well as get your hops, yeast & any thing else you need, boxed up & ready for you to pick up, saving you time on brew day! Posted in Beer resources & mythbusting, General beer related ramblings, Homebrewing | Comments Off on Hmm, now what hop should I use? Whats a sweet stout all about? Sweet stout and milk stouts are increasingly popular beers that form a counterpoint to Dry Irish Stouts. This week we take a look at the history of Sweet Stout, how to brew it and recipes for making it. Milk Stout (also called Cream or Sweet Stout) traces its origins back to Porters. Strong Porters which were widely popular in the 1700’s were often labeled as Stout Porter. Eventually the Porter name was dropped in the 1800’s to become simply Stout. A number of variations of stout emerged. Dry Irish stouts (like Guinness) pushed the limits of using heavily roasted malts to create a dry coffee-like flavor. Other stout variations such as Russian Imperial Stout pushed the limits on the malty or sweet end. Still others, like Oatmeal stout pushed in other directions. Milk stout and Sweet stouts push the sweet end of the spectrum by using lactose – which is unfermentable. The iconic example of milk stout, Makeson’s stout, was first brewed in 1801 in the Southern United Kingdom. Milk stouts were widely marketed in the 1800’s as nutritious – even to nursing mothers. After World War II, the UK outlawed the use of the word and imagery for milk in association with beer, so many modern examples are labeled as Sweet stouts. Sweet stouts use dark roasted malts to create the dominant flavor which is a malty, dark, roasted chocolate character. Like Dry Irish Stout, they may have roast coffee-like flavors. Unlike Dry Stout, Sweet stouts have a medium to high sweetness (malt or lactose) that provides a counterpoint to the bitterness of hops and roast malt. Some (though not all) sweet stouts include lactose, an unfermentable sugar that enhances sweetness and body. These stouts are full bodied and creamy, and have low levels of carbonation. Original gravity starts at 1.044-1.060 and finishes at 1.012-1.024 for a 4-6% alcohol by volume. Many English examples use a relatively low starting gravity, while US examples tend to be brewed at a higher starting gravity. They have low to medium esters and little to no diacytl. They are moderatly hopped at 20-40 IBUs for a bitterness ratio of around 0.6. The hops should balance the malt, but hops is not a major flavor in this style. The color should be dark brown to black (30-40 SRM). Sweet stouts start with an English Pale Malt base which makes up 60-80% of the grain bill. To that, we add a mix of crystal/caramel malts (roughly 10-15%), and chocolate, black and roasted malts (10% or more in total) to provide color and flavor. Corn, treacle, wheat or other off-beat malts are sometimes (though rarely) used. For a true milk stout, lactose is often added. Since Lactose is unfermentable it provides a distinctive sweetness as well as body for the finished beer. Sweet stouts traditionally use Southern English ale yeast as this is where the beer was originally brewed. A relatively low attenuation English ale yeast with moderate esters such as White Labs WLP002 or Wyeast 1092 would be appropriate. English hop varieties such as Fuggles, East Kent Goldings, or Columbia are appropriate, though many US variations also use popular American hops. The hops should primarily be added as bitterness hops since hop aroma and flavor is not dominant. Hops should balance the sweetness of the beer. Mashing an all grain sweet stout should be done at the higher end of the temperature range to enhance body and residual sweetness. I will typically mash this style in the 153-156 F range. Fermentation is done at normal ale temperatures and the beer is conditioned as any other English Porter or Stout. Posted in Beer resources & mythbusting, General beer related ramblings, Homebrewing | Comments Off on Whats a sweet stout all about? This week, I take a look at calories in your home brewed beer, how to calculate them and where they come from. I’ll start with the good news first – an average 12oz commercial beer has slightly less calories than a comparable soda or even a glass of juice. An average American lager (say Budweiser at 5% ABV) has about 145 calories for 12 oz. A Coke classic runs about 155 calories for a 12 oz can and orange juice is about 184 calories. If you drink light beer, they generally run from 100-112 calories per 12 oz and have slightly less alcohol (average of about 4.2% alcohol), placing them well below regular sodas or juice. Premium beers run a bit heavier – a Sam Adams Lager or Boston Ale has about 160 calories and high alcohol beers like New Belgium Trippel (7.8% alcohol) contain 215 calories in a single 12oz serving. Not surprisingly the calories in beer comes from alcohol and carbohydrates – both from the malted barley (or other grains) used to brew beer. During fermentation, yeast breaks down the simple carbohydrates and converts them into ethanol (ethyl alcohol). The longer chains of carbohydrates that the yeast cannot break down remain in the finished beer, contributing additional calories. Full bodied and all malt beers tend to have more residual carbohydrates. Roughly 60% of the calories in an average beer come from alcohol and 40% from residual carbohydrates. 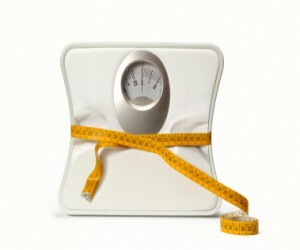 Despite the term “beer belly”, very little of the alcohol you consume is converted into fat. In fact, your liver converts most of the alcohol into acetate which is then released into your bloodstream and consumed directly to produce energy. The bad part is that when your body is burning alcohol/acetate, it is not burning fat, so you will tend to retain the fat you already have, plus your body may convert some of the residual carbs from the beer into fat. Adding to the effect is the fact that alcohol tends to be an appetite enhancer – so if you drink a lot you will likely eat more than you would with water or even other carbohydrate drinks. Not that all news is bad – in fact several studies have found that drinking in moderation (1-2 drinks a day) can actually have a positive effect on overall health if combined with a healthy diet and exercise. However, clearly moderation is the key. Calorie conscious brewers can estimate the number of calories in 12oz of homebrewed beer from the starting (OG) and ending (FG) gravities. BeerSmith also will show you the calories if you use the Alcohol/Attenuation tool. So lets look at a sample beer with a OG of 1.048 and a FG of 1.010 which has 4.9% alcohol by volume. Running the numbers above, we get 99 calories from alcohol and 59 calories from carbohydrates, for a total of 158 calories. Most beers have calorie counts in this range – with the bulk of calories coming from alcohol and not carbohydrates. Light and low-carb beers tend to be made at lower alcohol levels, and also have less malt and more adjuncts (corn, rice, etc) to reduce residual carbohydrates. Essentially light beer makers attack the problem on both sides – by cutting the alcohol levels and also cutting the residual carbs. Corn, rice and other non-barley adjuncts tent to ferment more fully leaving less residual carbs. The tradeoff is that the body of the beer comes from the residual carbs, so light beers made with more rice will generally have less body than barley malt beers. However, in very light bodied styles like American Pilsner, the effect is less noticed than it would be in a low-cal Porter or Pale Ale. Posted in Beer resources & mythbusting, General beer related ramblings, Homebrewing | Comments Off on Counting Calories? Posted in Beer resources & mythbusting, General beer related ramblings | Comments Off on Whats with the goat? Here is a site we found that’s all about food pairing. Have a look & try a few experiments we think you’ll find that beer can pair with food every bit as good as any wine. More on this later, in next post I’ll share some of our experiments & personal experiences in cooking with beer. Simply go to beersmith.com/radio to stream a wealth of brewing knowledge for free…then fire that kettle & get brewing! Well, the real answer is NO & NO. The real enemies of beer are Oxygen & UV Light. Where this seems to have stemmed from is leaving beer in a cooler after the ice has melted away. Coolers turn in to little saunas after the ice is gone, literally baking your beer. Heat is an oxidizer, and quickly eats away at the flavor of your beer. MillerCoor’s formula is 3/30/300, or 3 days at 90 degrees, 30 days at 71 & 300 at 33 degrees. From this, you can see the same amount of “damage” done to your beer in a 150 degree cooler that you left in the back of your truck last weekend. The next enemy is time, no matter how much effort & how hi tech you get the canning & bottling process there will always be at least a few parts per million of good ol O2 in there, this time slowly oxidizing your favorite beer, again, every minute you store a beer cold (with an exception, more on this later) & dark you’re preserving its flavor, in fact its recommended by a major player to rotate warm displays (that were delivered cold) back to cold storage after just 14 days, in a perfect world. The second part of this is the matter of what “skunky” beer is. The term skunked refers to the trace sulfur compounds in all beers spiced with hops reacting to UV light, witch is technically called “Light Struck”. This is most commonly prevented by using cans, or coated bottle, as well as reduced by using brown bottles vs. clear or green bottles. For the remaining few beers utilizing green or clear glass, special preisomerized hop extracts and perhaps, other flavor stabilizers need to be used to prevent UV light from reacting to the liquid. Fact: This is why back in the day Miller & Rolling Rock came in extra tall 6 pack carriers & the pony bottles came “wrapped” in their carriers. That pretty much sums it up. Most all commercially brewed beer has a legible “Bottled on” or “Best by” date. This is marking the worst case scenario, in a hot summer warehouse or rail car, etc. In most cases the beer has been stored at least cool for a large portion of their life. So ideally for perfect brewery fresh taste, beer should at least be consumed by the freshness date, canned beer or bottles protected from UV light, stowed away at cool or cold temperatures beer holds up considerably well. While there’s no magic or do-dad that will break down your Bud on the 111th day, as the “Age” oxidation is a slower process, there’s no harm in demanding fresh, well kept product when spending your hard earned dough either…I do. Posted in General beer related ramblings, Product updates | Comments Off on Hop Freaks! Ok so the title suggests a reality of of an actual apocalypse…not really going into all of that, but- hypothetically, what if there were some event that turned the Craft Beer scene on its ear & all the good beer just dried up? The global giants gobble everyone up, a world-wide hop shortage due to infection or all of the 2-Row just fell over or some other such, nonsense? And, only you could pick 1 craft brewery to survive…well? And it seems to change all the time, for whatever reason…usually with whatever “liquid love” is in my hand at the moment. For instance last night I was swearing to myself the Stone IPA has returned to all of its former glory (whether or not it actually diverted is debatable-but in my small lil mind it did) and was the most beautiful, hopped up, wonderfully drinkable, bright citrusy IPA ever made. Were talking Brewery here, not just any single beer… So whats it gonna be? #1 has to be….um, well, hmmm…since just had a few oz. sample of Nectar, which is so fresh & perfect, taking into account all of the other solid brews they do year round as well as the fun scratch series & other specialties…my winner is Troegs. Stone you can be runner up! So what do you think? So in today’s world of great beer, I was talking with with some friends just the other night about how different the landscape of craft beer is today verses just a few years ago, not to mention a decade ago. It used to be that most rural areas didn’t stock many craft & import options and you had to really travel to find a few good choices. Not anymore and “we’re a little spoiled because of it! (in a good way)” Was the eventual conclusion to a half hour chat. Really just think about it, remember what… Sierra Pale was like….”man thats really really hoppy”, Weyerbacher’s original Ipa was barely palate-able (at least for my young taste buds- funny how ya never forget the first one!) Dead Guy & Sam Smith was a real treat & a flavorful step up from everyday brew that consisted of Yuengling Lager or a maybe a Heineken? Not that any of this is totally off base today but in every aspect there is tons more choice. So many styles & sub-styles, subtle variations and so on… It really is cool. Almost always going for a well hopped copper ale of some sort, now a days I can take the “when all else fails-grab a Dales” approach, mix it up with a Two Hearted, Centennial, Torpedo, or now the best bang for the buck- in my opinion Perpetual…but even then we look forward to Nugget Nectar (next week by the way- call, or message to reserve- it’ll go fast!) & here comes the mothers of hop bombs- Hop Slam & Double Trouble (ditto), and the list goes on… Choice is awesome isn’t it? So as this here tall can of Half Acres’s Daisy Cutter is tasting as if its heaven sent (lil pricey- but hey?) it really amazing how far the craft beer scene has come in the last decade. But for tonight, this sweaty, silver tall can of Daisy Cutter is fitting the bill nicely, with a nice smooth malt character, with a little hint of caramel, bright citrusy hop accents, and just enough spicy snap to balance it all out…I’m thinking life is good and I’m good with being a lil bit of a spoiled beer snob:)! While I have to admit, its been awhile, perhaps 2 years since my last Weyerbacher brew. Since they redesigned their packaging & released a pair of new brews, Verboten & Last Chance IPA, I got intrigued. Verboten gets the first nod & is a simple, clean belgian-esque Pale (Gold) Ale. 5.9% ABV is perfect for the style & smooth, soft palate is complemented by a mild, peppery hop snap & light fruity, yeasty undertones. While admitting this is not my absolute favorite style (bit light on citrusy hop notes) this one is very well done and has reversed my mindset of Weyerbacher taking focus away from everyday beer styles. Weyerbacher has been making some fantastic extreme (and pricey) brews for years, and with those they are mostly recognized, but its the smaller styles that bring a brewery volume, and it seems they “get it” again. I look forward to giving Last Chance IPA another chance very soon. Posted in General beer related ramblings | Comments Off on Win this Kayak! Thought this was great news, that needed to be shared…should mean more beer for us! Maybe even more Nectar & Elf next year? *Thanks Dave & Wes for the clip. •Set shrimp aside and blend remaining ingredients together in a blender to create a marinade.